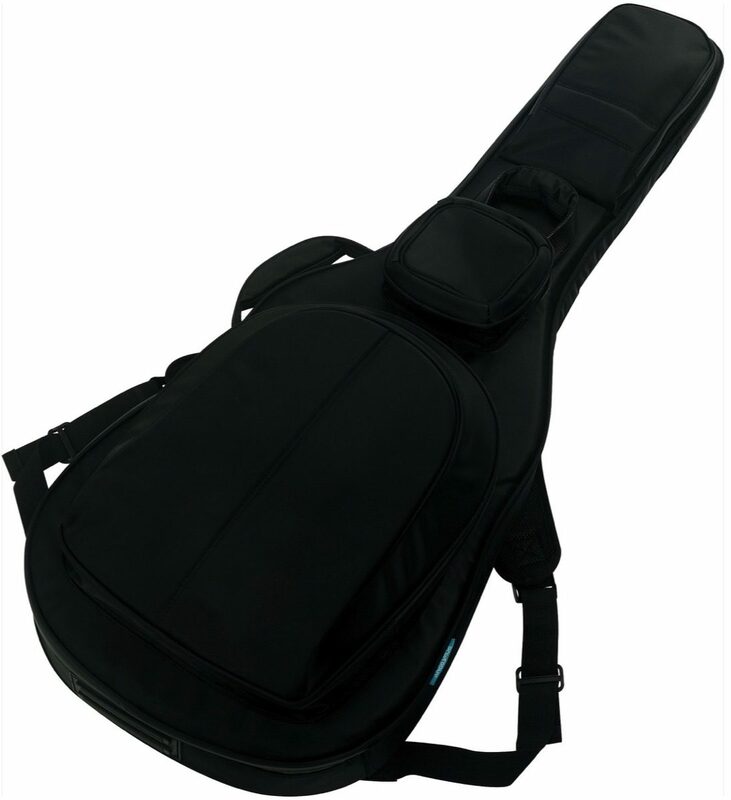 There's no reason why a sleek, stylish and smartly-designed gig bag can't keep your precious instrument super secure as well. The Ibanez Powerpad 924 Ultra Electric Guitar Bag, with its padded bottom and sidewall, safely protects your guitar from the bumps and scratches that can occur while you're hustling to your next show or session. The 924 Ultra gig bag sports 25mm foam padding in top, back, sides, head and bottom for superior protection. Water-repellent exterior and water stop exterior zippers keep the gear protected from dust or water. Drop your laptop or tablet, strings, headphones, tuner and supplies in one of the three roomy pockets and you've got everything you need to roll. - Interior Overall Length: 40.16"
- Interior Lower Body Width: 14.17"
- Interior Upper Body Width: 11.02"
- Interior Lower Body Length: 22.05"
- Interior Neck Width: 4.72"